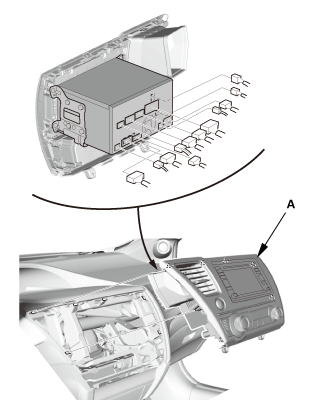 The audio-navigation unit and SD module are mated and cannot be substituted separately. If you need to substitute a known-good unit for testing, substitute a complete known-good audio-navigation unit and SD module. 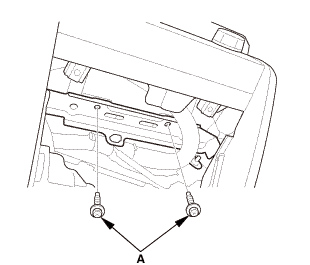 Check any official Honda service website for more service information about the navigation system. Static electricity can damage the SD module. Always follow proper handling procedures. Always use the anti-static mat (ESD) and wrist strap when removing the SD module. Before you open the audio-navigation unit or handle the replacement SD module, attach the wrist strap around one of your wrists, and attach the alligator clip to the ESD mat. Make sure you use the screws in the same holes. The SD module can be damaged if the wrong screws are used. You do not have to peel off the plastic cover to remove the screws or the SD module. Do not force the SD module. 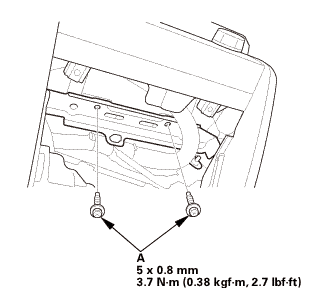 If it does not slide in smoothly, check the alignment of the SD module and the pins. If the pins are bent, replace the SD module. Make sure the SD module screws are not loose. If they are, the SD module can be damaged. Handle the SD module by its edges. Do not touch the pins. 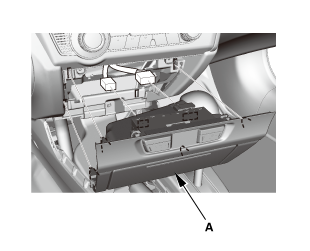 Remove the passenger's side bracket (A). 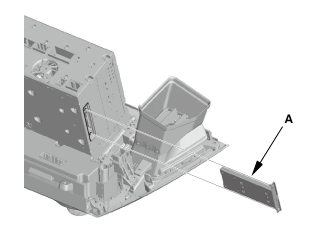 Remove the SD module (A). 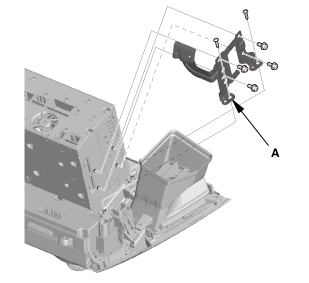 Install the SD module (A). NOTE: Make sure the SD module is properly aligned when installing the SD module. 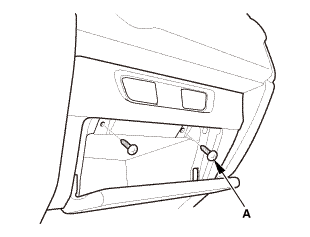 Install the passenger's side bracket (A).